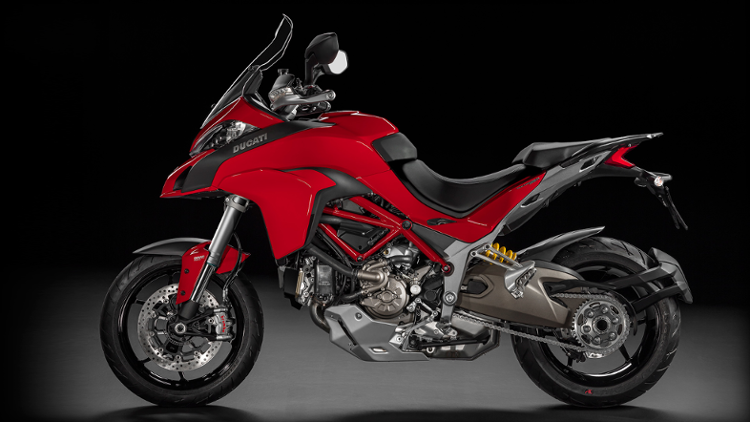 The new Multistrada 1200 S takes riding beyond all the barriers of compromise. Nothing stands in your way. Unbeatable on tarmac, perfect and comfortable for long-distance travelling, fun off the road and agile through town. 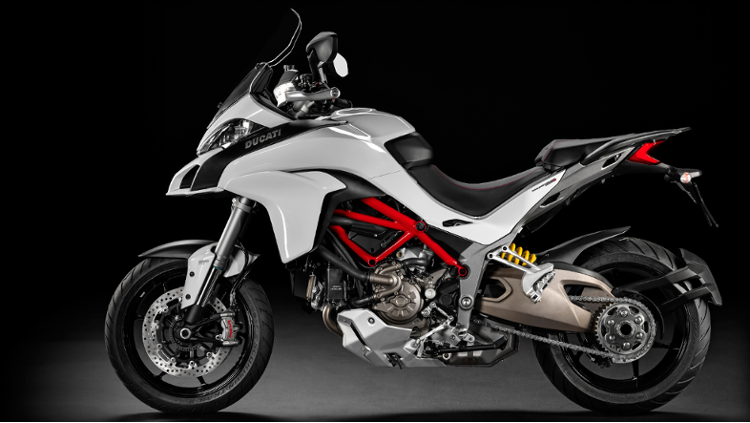 Thanks to the new Ducati Testastretta DVT engine, cutting-edge Ducati Skyhook Suspension (DSS) Evo and refined electronics, there are no limits to the versatility of this true multibike. Just get on and head where you want. For 2015 the MTS 1200 S is available in Iceberg White or Red. 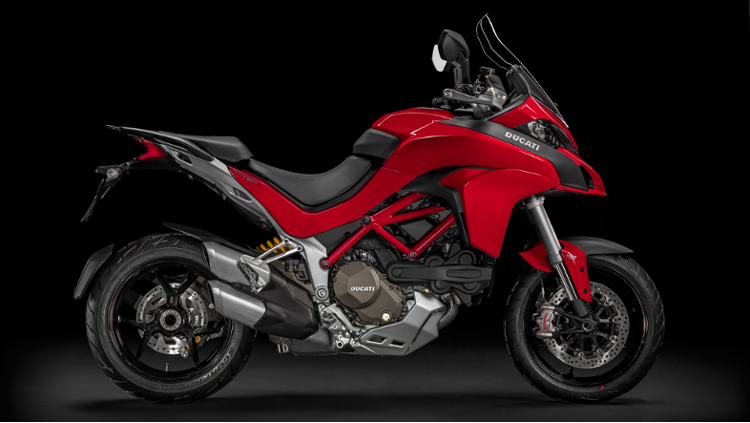 Contact us today to book a test ride and find out our latest special offers on Ducati Multistrada 1200 S.
The new 2015 Multistrada 1200 S is powered by the brand-new revolutionary Ducati Testastretta DVT engine which adopts a Desmodromic continuous variable valve timing to optimize power and torque across a wider rpm band delivering an unprecedented combination of breath-taking-torque (132 [email protected] rpm), class-leading power (160 [email protected] rpm) , super-smoothness and low fuel consumption; the Desmodromic Variable Timing (DVT) is a double and continuous system applied for the first time to a motorcycle engine managing both exhaust and intake camshafts. 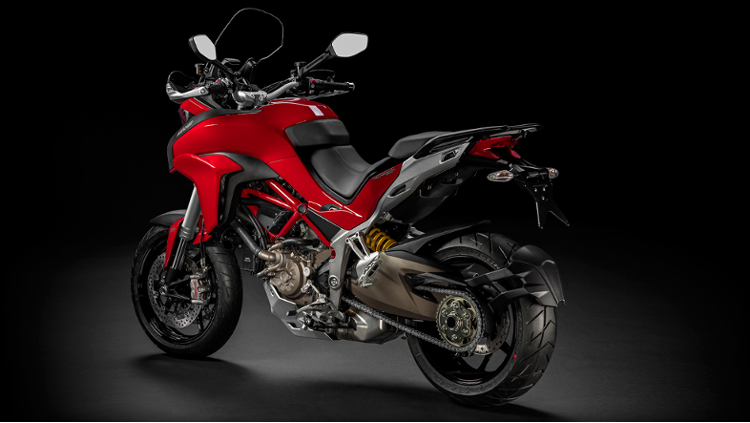 The new Multistrada 1200S incorporates the very latest innovative Ducati technologies, including the famous Ducati branded Riding Modes. 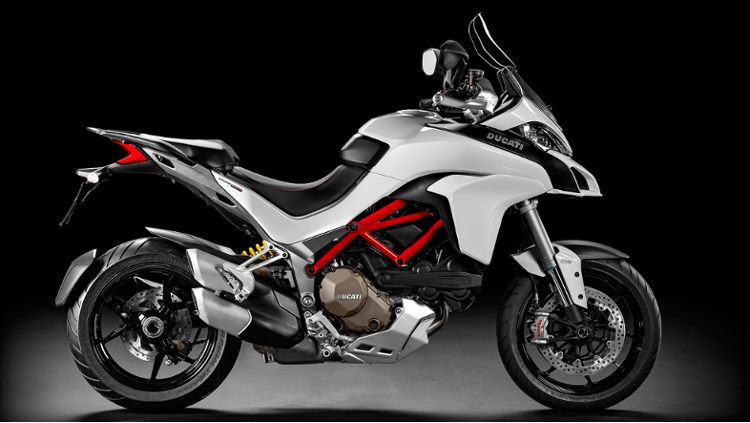 The four Riding Modes (URBAN, TOURING, SPORT, ENDURO) are enabled by combining class-leading technologies such as: Ride-by-Wire (RbW), Ducati Traction Control (DTC), multi-calibration 9ME cornering ABS, Ducati Skyhook Suspension (DSS) Evo, Ducati Wheelie Control (DWC) and the graphics on the instrument panel. 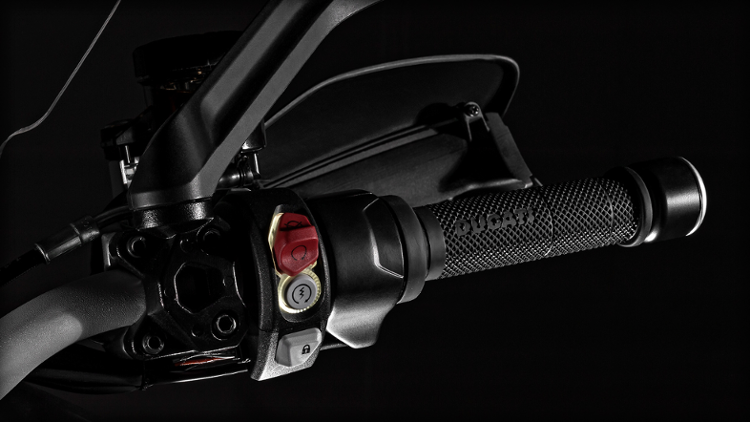 The rider can change the character of the bike by selecting from the left-hand switchgear - even while riding - among four different pre-set configurations (Riding Modes) that best adapt to the riding style or riding conditions. Bursts of acceleration. Corners taken at speed. With the Sport package, the rider's sporty side is accentuated by the unmistakeable sound of the Termignoni exhaust and the racing look of the carbon front mudguard. The elegant aluminium covers for the brake and clutch fluid tanks complete a kit dedicated to those seeking maximum performance on the road.